Why would we change our name from ABC Signup online registration software to Learning Stream? There was nothing wrong with the old name. It served us well since before Facebook was a thing. When Tom Brady was still one of the youngest players on the Patriots. When many organizations thought spreadsheets and emails worked just fine for class signups. 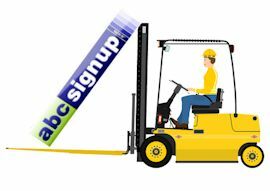 For many years now, the software formerly know as ABC Signup has been more than a basic online registration software solution. Basic class registration software doesn’t include complex pricing functionality, continuing education tracking, a student portal, shopping cart, video learning capabilities and on and on. We needed a name the better reflected all that and more to come. Learning Stream represents what the software is—a streamlined connection between program organizers and their learners. It represents registration management—a full-blown system that handles class and training registration, communication, tracking, data analysis and more. ABC Signup, aka Learning Stream, users have complex needs that require a robust, flexible solution. In other words, Learning Stream is a lot more than just online registration software. We are excited about where the new name allows us to go. We believe our current and future users will be excited, too. When we think about where the software started 15 years ago—as a simple online registration tool that didn’t even include payment processing capabilities—to where it is now and could go, it boggles one’s mind. The Learning Stream name—which represents a change in approach—gives us more flexibility to meet the everchanging requirements of the training and continuing education community. That could mean adding anything from a small feature to an entire module. If you have thoughts or questions about the Learning Stream name change or anything else, please use the comment box below.